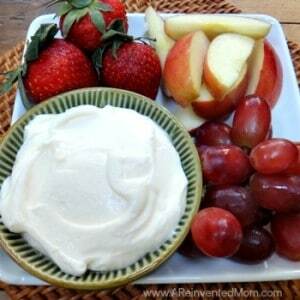 Looking to jazz up your Thanksgiving bread basket or dessert table? 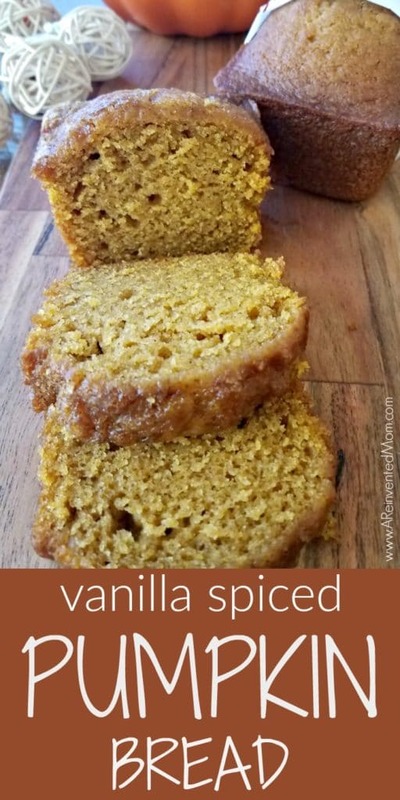 A batch of Vanilla Spiced Pumpkin Bread should do the trick. Fresh-baked loaves also make tasty teacher and hostess gifts. I considered titling this recipe “Pumpkin Bread for People Who Hate Pumpkin Bread”. Doesn’t quite roll off the tongue though, does it? Several people who insisted they didn’t like pumpkin bread LOVED this version. Raved about it! Even asked me to make another batch immediately. It’s that good! 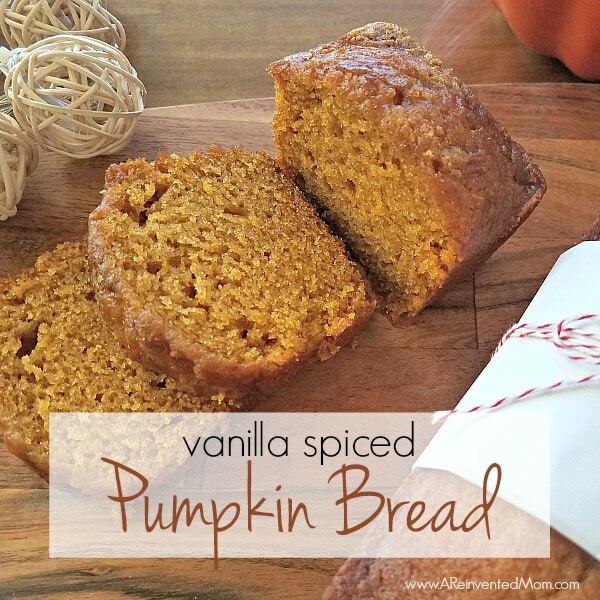 So, you may be asking what makes Vanilla Spiced Pumpkin Bread so special. I’m convinced the vanilla pudding elevates plain old pumpkin bread to something tantalizing. The texture is almost cake-like. And look at the fantastic crumb. Soooo good! Vanilla Spiced Pumpkin Bread has long-held a favored place in my recipe box. It has served me well for snacks, holiday entertaining and even gifts. I clipped the original recipe from a Taste of Home magazine years ago. As always, I’ve made a few modifications over time. Work Smarter: Sometimes the right tools can make or break your cooking experience. These are the tools I used to make quick work of this recipe: small baking pans, wire cooling rack. For hostess and teacher gifts, bake bread in these pans. 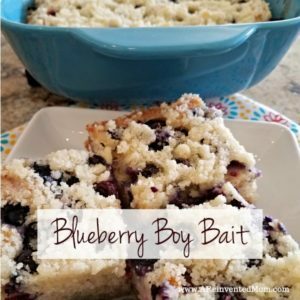 I’ve shared this recipe at: Gooseberry Patch, Meal Plan Monday, Recipe of the Week, Weekend Potluck. Grease (5) small loaf pans (approx. 5 3/4 x 3 x 2 size). Beat the eggs in a large bowl. Add oil and pumpkin, beating until smooth. In a medium bowl, combine flour, sugar, pudding mix, baking soda, cinnamon and salt. Stir to combine. Gradually add to the pumpkin mixture, beating after each addition. Divide the batter equally between the loaf pans. Place pans on a large baking sheet prior to placing in the oven. Bake for approximately 40 minutes. Bread is done when a toothpick inserted in the center comes out clean. Allow to cool in pans for 10 minutes, then turn onto a wire cooling rack until completely cooled. Bread can be made in 2 larger loaf pans, adjusting for a slightly longer bake time. To freeze: Wrap cooled loaves in a double layer of plastic wrap and place in freezer bags. I'm not sure how long they keep as we usually eat them within 2 weeks. To use, defrost in the refrigerator overnight.